We are privileged to have some incredible people working at the Cancer Research Centre at Warwick. To get in touch with one of our team members, just visit their profile and follow their contact details, or contact our centre administrator at crc@warwick.ac.uk. 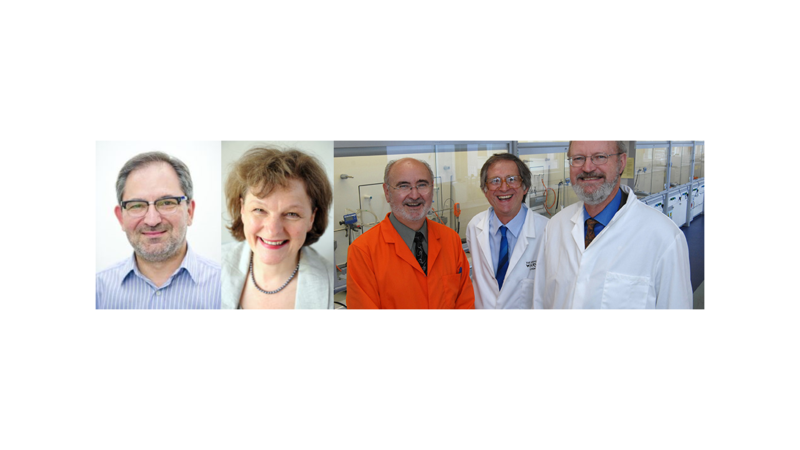 Above left to right, Prof. Lawrence Young, Director of CRC and Academic Vice-President; Prof. Annie Young, CRC; Prof. Peter Sadler, Head of Chemistry; Prof. Stuart Palmer, and Nobel Laureate in Chemistry Prof. Robert H. Grubbs open the new University of Warwick Chemistry Labs.